The man who is known among the alt-right “Based Stickman,” due to a viral clip from March 4th where he cracked a wooden pole over the head of a counter-protester in Berkeley, California, is in jail, charged with “possession of an illegal weapon.” And according to East Bay Express, a judge has barred him from owning any weapons whatsoever, including his trademark wooden stick. “Based Stickman” became a minor meme in the alt-right, glorifying violence against antifa and leftists writ large. And Kyle Chapman (the real name of the stick-wielding man from the video clip) continued to get into streetfights at rallies. 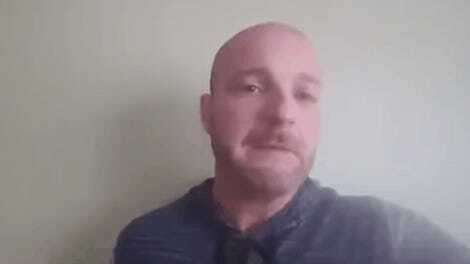 He then founded the Fraternal Order of Alt-Knights (FOAK), promoting ideas like white genocide within the group, as well as encouraging harassment and/or violence. “We had a lot of patriots show up for the anti-Sharia law protest. Great showing. Lotta warriors. Lotta guys ready to fight and bleed for freedom,” Chapman said following another protest in May; in a self-filmed video from April 15 he laughs while showing off spiked ring he’s wearing, the skin underneath bruised and bloody. Gavin McInnes, co-founder of VICE and, more recently, the right-aligned Proud Boys, proudly took FOAK and Chapman under his wing, christening them as a “military division” of the group. On his public Facebook Chapman has encouraged fans to attend rallies held by neo-Nazis, referred to leftists as “degenerates” and the press as “the enemy”—signing many posts with the explicitly anti-Muslim “Deus Vult” crusader meme. 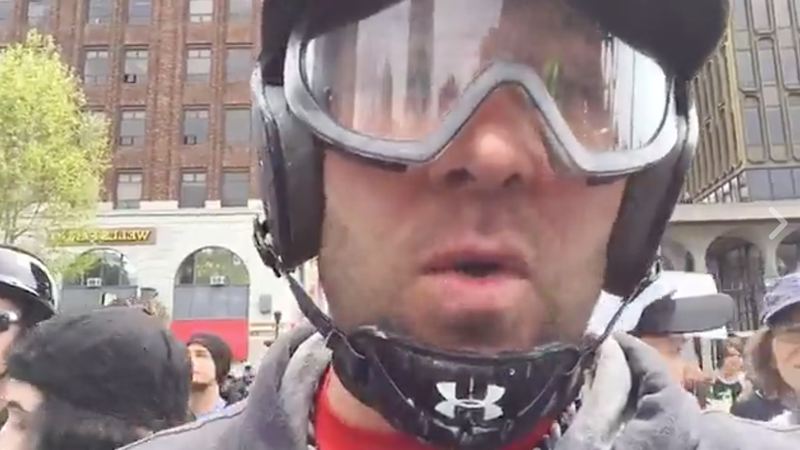 The 41-year-old Chapman, as Gizmodo previously reported, has a history of criminal offenses from well before his repeated arrests for fighting counter-protesters, among which were charges for second-degree robbery, grand theft, and illegal possession of a firearm. No one within Chapman’s ranks seemed to mind much: after all, these were the same cadre of dumbasses who turned assault into a meme, and saw political rallies as an excuse to hurt strangers. If found guilty, with prior enhancements I’m looking a good chunk of time. Regardless, I will be attending the SF and Berekley (sic) rallies. Never surrender. However, Judge Mark McCannon imposed a stay-away zone of 300 yards around the Martin Luther King Jr. Civic Center in Berkeley for Chapman, to keep him from returning to rallies in the area. He’ll appear back in court on September 5th and is currently being held in jail with bail set at $135,000.